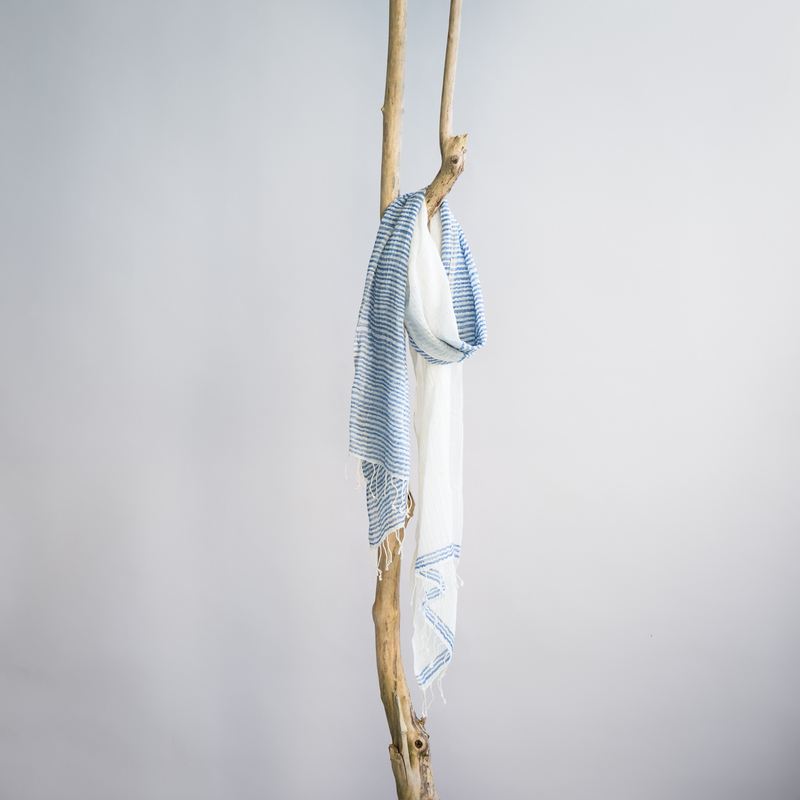 Versatile cotton Fairtrade scarf from Ethiopia. 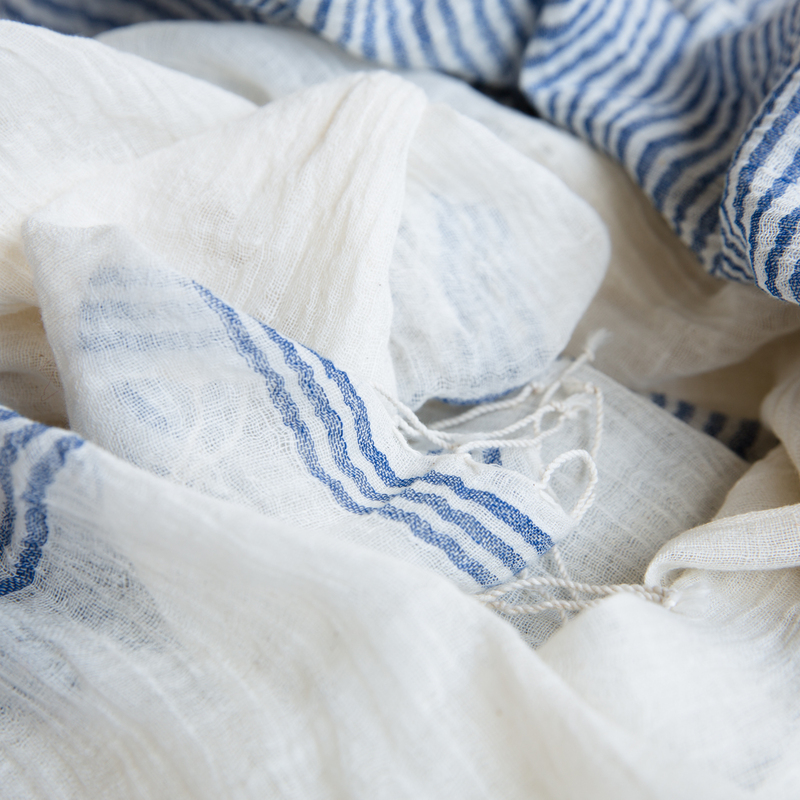 Blue striped Fairtrade scarf from locally sourced Ethiopian cotton. This versatile scarf is handwoven by artisans from Sabahar, a Fairtrade organisation in Addis Ababa. A must-have for every season!